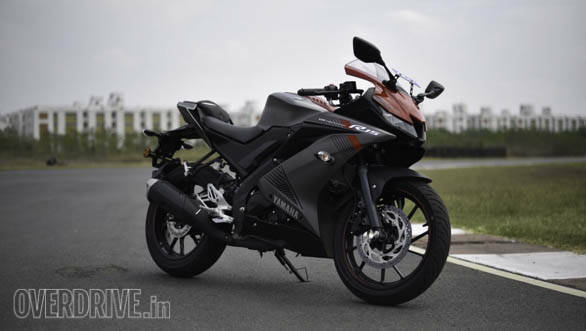 Yamaha's new YZF-R15, or the R15, as we all call it is a terrific machine. 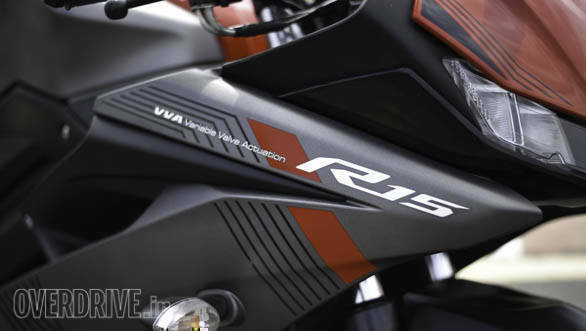 So good, that the original R15 is still on sale as the R15 S model and it will continue to remain on sale, says Yamaha alongside the new one. And it was a bit of a surprise, remember? 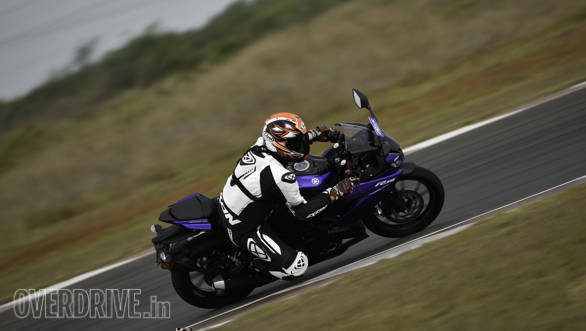 A 150cc sportsbike that's 40 per cent more expensive than the average Indian 150? Yamaha gone nuts we screamed until we rode it and then, as a colleague from another magazine put it, "It was a rainbow in a very grey world." Eloquently put, no? 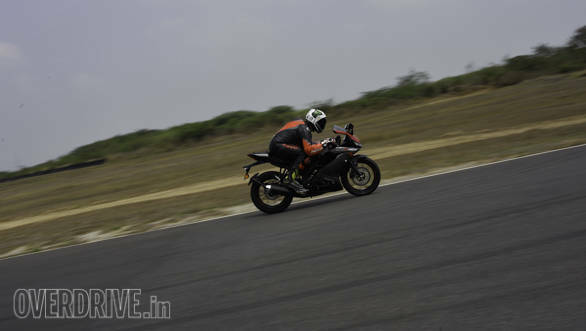 And now, after too much waiting, Yamaha gave us the R15 v3 to ride at the MMRT outside Chennai. 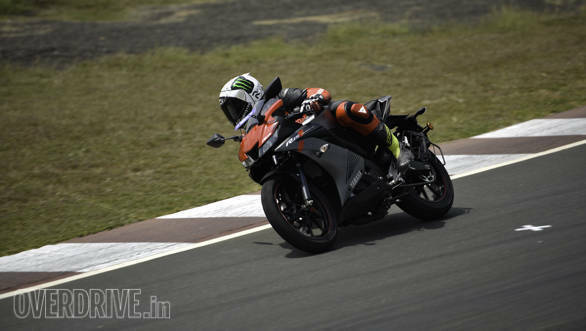 Abhay rode the new Yamaha YZF-R15 v3 and you can read his first ride report. This story is about what I believe you will love and dislike on the new machine, and we won't go too deep into the technical details. 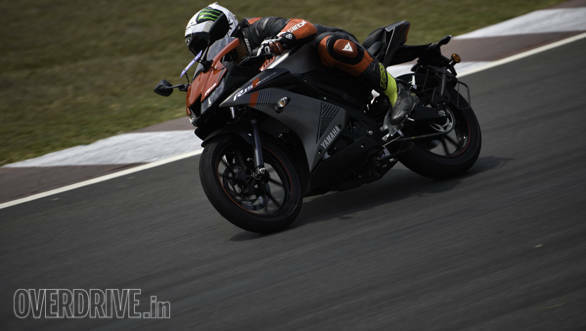 In terms of competition, the YZF-R15 does have more machines at its price point but since Honda stopped developing the CBR250R India model, there really is no direct competition with the KTM RC200 being the closes machine is spec although it makes 25PS to the new R15's 19.3. But it turns out, you will like this new engine! Yamaha says the engine grew from 149cc to 155cc via an increase in bore - which means new forged pistons, new con-rods and a re-balanced crankshaft. But this small rise in displacement, along with the variable valve timing, new crankcases, bigger throttle bodies etc produces a great result. 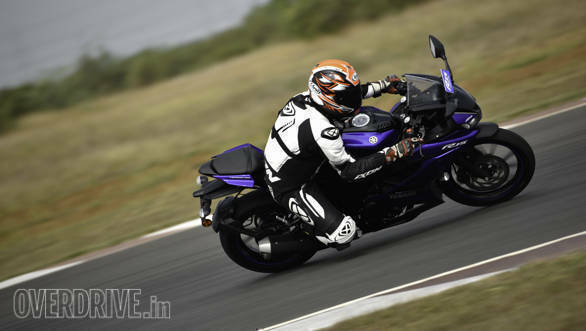 Yamaha says mileage has risen 4.7 per cent but more importantly, power goes up 16.7 per cent. And it isn't mumbo-jumbo. The race track isn't always a great place to see low- and mid-range torque but there is no doubt that the R15 v3 feels like it needs the revs less than the earlier one. There is grunt down below and after the VVA switches the speed with which the bigger intake valves open and how long they stay open, there is a wealth of power as well. Wealth? Yes, the engine enjoys 7,500 to 10,000rpm making a familiar engine note and producing a likeable burst of speed. A shorter swingarm? Who does that in today's day and age, eh? 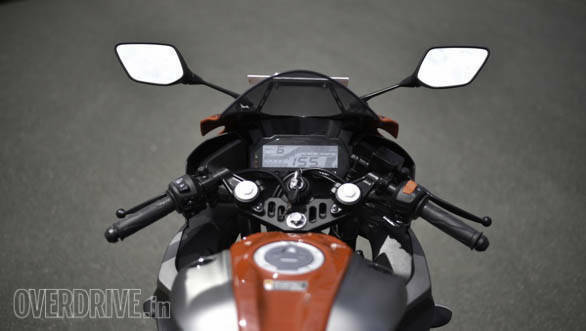 But Yamaha says they wanted to push the idea and response rate of this mini-supersport forward. And that needed a slightly shorter wheelbase and the wider but shorter swingarm. And fatter tyres to permit bigger lean angles too. My first feeling was that the R15 v3 felt longer than before. Which is distinctly odd. But once I settled in, I realised that the 'long' feeling passes. What stays is the smashing fast drop to full lean. If you know what a quick turn is and how to execute it, you will drop to the knee slider so fast that the first few times, you'll have your eyes widen a bit. And then you will love it. The R15 has never been heavy or lethargic. This one is almost hyperactive. I loved that feeling! At the MMRT I got my knee down in places where I never normally do and the confidence in the R15s ability has not changed. The R15 uses a slotted cast top triple tree that reminds you strongly of the new R1. Down below, the silver castings for the footpeg and its subframe look smashing too. 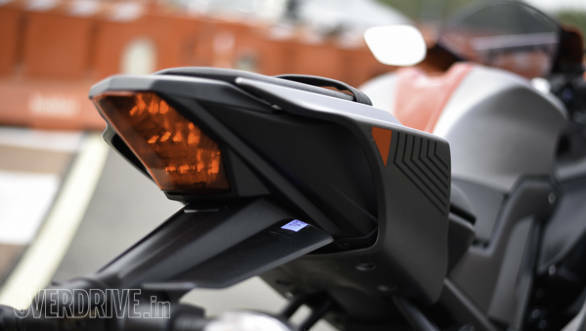 The 'vented' tail section and the fins beside the fuel filler cap, the narrow and sleek LED headlamps... there are so many details on the R15 that look so sweet! ...you see small finish issues. Panels gaps are inconsistent, sometimes on one bike itself, at other places across the six motorcycles we were given to ride. I could name three or four motorcycle brands for whom this level of finish would be either an accomplishment or at least par for the course. 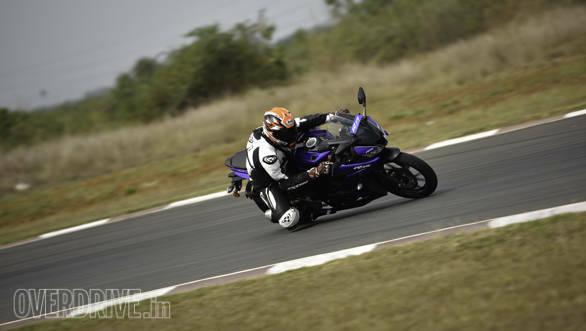 But we are used to Yamaha giving us some of the best overall product quality of all in the two-wheeler market. And on that front, our expectations were of a better-finished machine. I must say here that I didn't think the R15 v3 was badly built - I would be surprised to see it age any less gracefully than all the R15s that have gone before this one - but while build is about longevity, finish is about appeal. And there, Yamaha has some ground to cover. There are casting finishes, welds, plastics that all could do with a more careful once-over. The R15s engines so far have been aces. They've proved ultra-reliable, ultra-refined, ultra-consistent in both performance and economy and more. 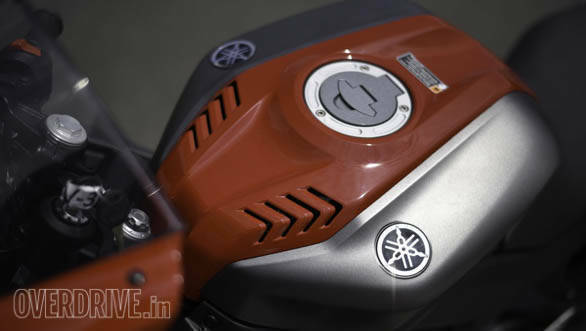 I think this new 155cc VVA unit is about to carry that legacy forward too. But there's a fine nuance that you must pay attention to. The old engine was a 10.4:1 compression ratio engine. That is high but not too high. This one is 11.6:1 which is higher by a notable margin, although still not at the 12.5/13:1 where engines tend to be extra sensitive to fuel quality. In fact, the rise in displacement and the bump up in compression are a big part of how Yamaha found more torque everywhere as well as 2 whole more horses from such a small engine. But the flip side is vibration. 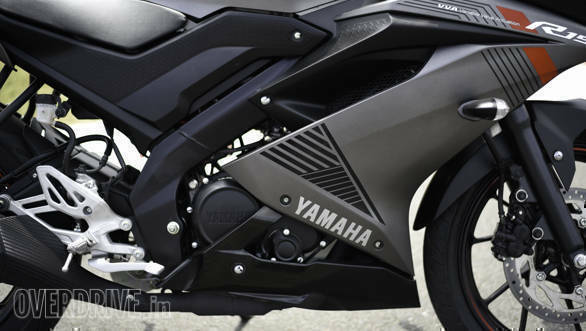 And Yamaha has done an admirable job of keeping it in check. But this engine is a smidge, like a really small smidge less smooth overall - and this isn't a problem. But right at the top, near the redline, you will feel more of a buzz from this motor than the old one. It doesn't sound or feel strained at all, though - and that reminds of what the R15 stands for - effortless maxed-out performance. 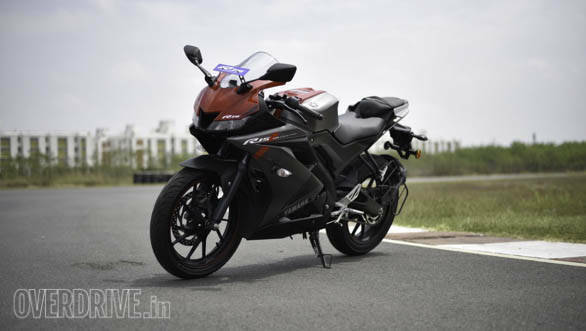 The YZF-R15 v3 is all-new and all-great! The way it delivers it performance is still as stunning and as easy as I remember from the previous two. What has changed is its nature and that too by a small amount. The first one was the friendliest R15 of all. It had a flatter stance and its over-arching feel was of a motorcycle designed for amazing performance matched to a stunning ability to forgive a learning rider's mistakes. The second one sharpened the focus a bit and it remained friendly but felt distinctly more sporty. The new R15 v3 is stunning in that context. Technically, it has lower handlebars, a higher seat and footpegs set a bit further back. But it feels flatter and less committed than the v2. This and the greater torque in the mid-range should make this an easier bike to ride everyday. At the track, we had a hiccup with the tyre pressures to start with. But once that was sorted out, the R15 felt astonishingly quick to respond to inputs and change direction while the engine drove the motorcycle out of corners well. The VVA allows you to run a higher gear in many places and lose no time too. Some of the slower journalists thought the optional radial Metzeler at the back and the bias ply MRF at the front gave them odd feelings but all of the faster riders agreed that while the idea sat askew in our heads, the R15 feels just right on this decidedly unusual tyre configuration. Of course, the Metzeler is an option, the stock bikes will run bias ply MRFs front and rear. The YZF-R15 v3 is on sale now and it's a good one. 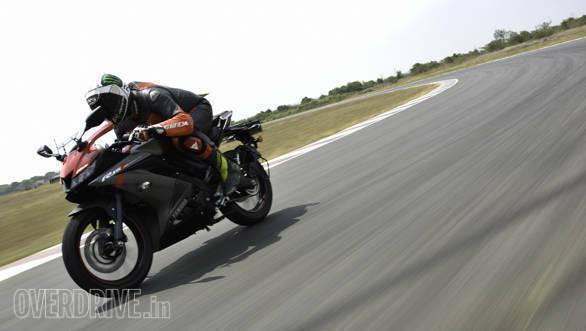 As with the old ones, everyone considering a motorcycle in the 150-200cc class should look at the R15. It's reputation for capability, longevity and performance is well-deserved and this new one seems to move the proposition forward by a solid margin. 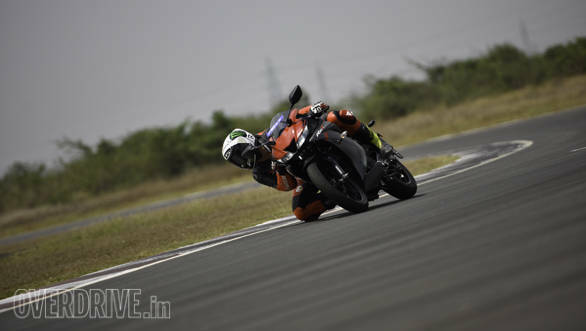 And if you do get an R15, you must, must, must take it to a track day, or to a track-based riding school like ours - I promise that you will have a huge big grin on your face.